An autoimmune disease is a condition where the body’s immune system becomes weakened and the regular defense mechanism is compromised. This causes the immune system to attack healthy cells. Medical experts regard it as fighting against one’s self. Depending on the kind and causative agents, an autoimmune disease can affect any body tissue or organ. This often causes damage, dysfunction, and altered growth of organs. Autoimmune diseases affect up to 50 million Americans. It is often genetic. Statistics show that 75% of those affected are women. Most of the known autoimmune diseases have similar symptoms making specific diagnosis even more difficult. Pernicious Anemia: Reduction in the percentage of red blood cells in the body. This is often caused by the body’s inability to absorb Vitamin B-12. To learn more about home remedies for anemia, click here. Rheumatoid Arthritis: a condition that causes joints and tissue inflammation. To learn more about home remedies for arthritis symptoms, click here. Lupus Erythematosus: This condition affects the joints, kidneys, brain, and other organs. Celiac Sprue Disease: This causes degradation of the intestinal linings, caused by adverse reaction to gluten (a substance in wheat, barley, and rye). Vitiligo: Pigment loss, causing the appearance of white patches on the skin, is the main symptom of this autoimmune disorder. This is not necessarily a health “problem,” but some patients may not enjoy it for cosmetic reasons. Psoriasis: This appears as thick, flaky and silver-white patches on the skin, causing severe skin redness and inflammation. To learn more about psoriasis, click here. Scleroderma: This disease affects the tissues and causes damage to the skin, blood vessels, and internal organs. Inflammatory Bowel Disease: This causes inflammation of the colon and small intestines. Other autoimmune diseases include Sjogren’s Syndrome, Grave’s Disease, Addison Disease, Hashimoto Disease, Pernicious Anemia, Reactive Arthritis, and Type 1 Diabetes. Symptoms vary, depending on the type of autoimmune disease. Common symptoms include fatigue, illness, fever, and pain. Autoimmune diseases have no cure. However, their treatments are often based on the type and severity of the symptoms. Treatments are often designed to alleviate the symptoms associated with the disease. Medically, treatments could be through pain medications, physical therapy, immunosuppressive medication, blood transfusions, and hormone replacement therapies. This article focuses on home remedies that can be beneficial in treating the symptoms of autoimmune diseases. Aside from its skin and hair care benefits, coconut oil is useful in preventing atherosclerosis. Atherosclerosis is a heart condition which occurs where lipid profiles are stored, resulting in high cholesterol levels and hypertension. 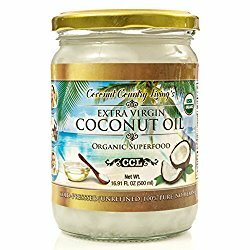 Coconut oil contains lauric acid, a component that reduces the level of LDL (low-density lipoprotein) and protects the arteries from damage. It is advisable to consume two or three tablespoons of coconut oil daily to combat this condition. It is also recommended for maintaining the lipid profiles of pre-menopausal women. This plant owes its analgesic effects to the presence of phytochemicals such as glycosides, lectins, and. Oral administration of aloe vera is effective in reducing blood sugar of diabetic patients and lowering blood lipid levels in hyperlipidemia. Cut an aloe leaf and scoop gel into a bowl. Blend extracted gel (about two spoons), add water and mix with lemon juice. Drink the juice as recommended. Popular as a health supplement, fish oil contains omega-3 fats (precursors of certain eicosanoids) that are known to reduce inflammation. These are especially beneficial in the treatment of rheumatoid arthritis, hypertriglyceridemia, anxiety, cancer, and macular degeneration. Take one to two teaspoons of fish oil daily. Alternatively, take 500 mg oil capsule. Alternatively, add five drops of fish oil to a warm bath water and soak in it thrice weekly to treat rheumatoid arthritis. Although widely used as a spice, ginger is effective against many autoimmune diseases due to its natural healing properties. It is an analgesic, detoxifying, anti-inflammatory, and antioxidant agent. These therapeutic properties strengthen the immune system and alleviate nausea, arthritis pain, and dysmenorrhea. Steep in boiling water, add honey and sliced orange to make a relieving brew. Alternatively, ground ginger may be used to spice dishes and cure dysmenorrhea. Pineapple is another outstanding home remedy for autoimmune diseases. Bromelain, the primary component present in all parts of the pineapple plant is a mixture of proteolytic enzymes. Bromelain has been found useful during pregnancy, allergy season, and anticoagulation therapies. Peel and dice fresh pineapple and refrigerate for twenty minutes and eat daily. Put freshly peeled and diced pineapple in juicer alongside pieces of turmeric roots. Blend for a few minutes. Drink the juice three times daily to combat inflammation. People with an ulcer should avoid taking pineapple because of its bromelain content. Turmeric, an herbaceous plant of the ginger family, contains beneficial chemical components called curcuminoids. The turmeric plant has excellent anti-inflammatory and anti-bacterial properties. It has been used in treating various internal disorders such as indigestion, throat infections, the common cold, liver ailments, and skin sores. 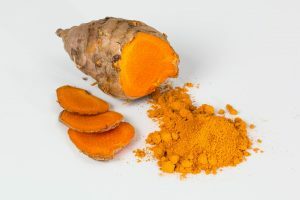 To gain benefit from this home remedy, you can either add turmeric powder to meals or take 500 mg supplements of turmeric three times in a week, but consult a doctor first (if you are planning on using turmeric supplements). Research has shown that Moringa affects blood lipid profile. Extracts from leaves contain low contents of polyphenol, a compound with many medicinal benefits. Mature seeds yield 38-40% clear and odorless edible oil. Mash and cook to make soup to aid digestion. You can also consume 31% daily value per 100g to combat iron deficiency. Honey contains a trace amount of hydrogen peroxide and can be used in dressing wounds and burns. For a chronic or an acute cough, a blend of honey and lemon is advised. Honey is considered a controlling agent for chemotherapy in cancer treatment. Apply honey on blisters and acne thrice daily. Honey therapy can be used to cure methicillin-resistant Staphylococcus aureus. Cucumber is commonly used as a detoxifier because of its high water content. Consuming cucumber can help eliminate and neutralize the presence of harmful toxins in the body. Cucumber skin has been discovered to contain cucurbitacins (resulting from their unique triterpene). Scientists have concluded that this blocks the development of cancer pathways and inhibits it spread. Consuming cucumber also helps tone the skin. Applying its juice on skin conditions like acne and blackheads can also help clear blemishes. Of course, water consumption is essential for maintaining body homeostasis. Dehydration causes an imbalance in the neurotransmitter composition of the brain. The proportionate depletion of some primary elements can result in health problems such as insulin-dependent diabetes, sclerosis, muscular dystrophy, Parkinson’s disease, as well as other pathological conditions. Warm water treatment also helps soothe joint pain and stiffness. 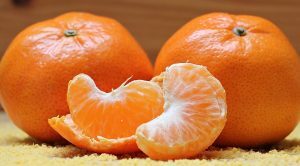 Foods rich in vitamin C and E are essential for a functional immune system. It is important that you include them in your diet to help reduce the impact of autoimmune diseases. Foods rich in vitamin C and E include oranges, guava, vegetable oil, seeds, and papaya. Consuming cayenne pepper disrupts the chemical activity of pain neurotransmitters in the brain. Cayenne pepper is, therefore, useful for rheumatoid arthritis and spinal spondylitis pain. In addition, it improves overall blood circulation, prevents stiff back and painful joints. Mix one teaspoon each of cayenne pepper and honey. Take two or three teaspoonfuls daily. Add a half teaspoon of cayenne pepper to water and drink daily. Mix two tablespoons of cayenne pepper in half cup of coconut oil and use the mixture to massage affected area in rheumatoid arthritis cases. Cinnamon is a common treatment for diabetes and high blood pressure. It contains antibacterial and anti-inflammatory properties, making it excellent for relieving pain caused by rheumatoid arthritis. It can also help inhibit the bacteria that line the gut in ulcerative colitis and Crohn’s disease. Mix one teaspoon of cinnamon in warm water and add a minute amount of honey. For relief in spondylitis and the rest, mix cinnamon in honey and apply on the affected area. Oregano oil contains polyphenols including flavonoids, which are popular for removing free radicals from the body. It is also anti-inflammatory making it an important treatment for rheumatoid arthritis and spondylitis. To use this home remedy to treat your autoimmune disorder, you can either add three drops of oregano oil to your tea or mix two drops of oregano oil in a tablespoon of coconut oil and apply to the affected area. Taken from the dried leaves of Camellia sinensis, green tea is a popular beverage consumed all around the world. It has anti-inflammatory properties (from polyphenolic compounds) and is beneficial for treating rheumatoid arthritis. Drink this tea up to three times a day to treat your autoimmune disorder symptoms. Spirulina is a blue-green cyanobacterium consumable by human and animals. Dried spirulina contains about 60% complete protein containing all essential amino acids. It is an adequate natural remedy for autoimmune disorders. Its rich minerals, vitamins, fats, and carbohydrates make it a dietary supplement for people with diabetes. It is also used in poultry and aquaculture industries. 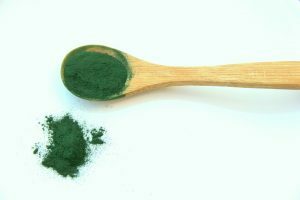 Spirulina also increases the quantity of infection-fighting immune factors in the body. In other words, it boosts immunity. Although this herb is not popular, it is an effective natural remedy for autoimmune diseases. When consumed in its natural form, it acts as a pain reliever and can ease joint pain and stiffness associated with rheumatoid arthritis. In a study conducted to ascertain the efficacy of rosehip herb on rheumatoid arthritis, the patients were given a daily dose of 5g rosehip powder. At the end of the experiment, the patients had substantial relief from arthritis pain. 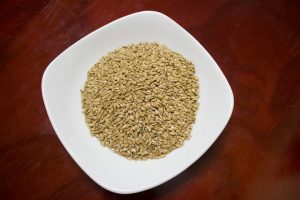 Gluten, a protein commonly found in wheat, barley, and rye, could trigger allergic reactions and contribute to the development of autoimmune diseases like celiac sprue. Ensure you avoid it entirely. This peptide acts an excellent detoxifier. It helps to eliminate major toxins in the body, including toxic metals and chemicals. Glutathione may be taken in the form of supplements, depending on a doctor’s prescription. 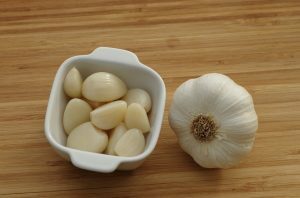 More than just a flavoring agent, garlic is a natural antibiotic that works excellently for curbing the activities of virus and bacteria. Eating garlic can help correct immune disorders and strengthen the immune system. It also helps to trigger the cells responsible for fighting infections. Another helpful way of boosting your body’s immune system is by adding selenium-rich foods to your diet. Examples include Brazil nuts, sunflower seeds, egg yolks, red snapper, and lobsters. This ancient Chinese technique works by targeting specific healing centers in the body depending on the kind of disorder. With the use of therapeutic needles, a professional can easily provide soothing relief to pain caused by autoimmune diseases. Do not try this at home unless you are already familiar with how to use acupuncture. A South American root, maca is an efficient medicinal herb that works for autoimmune diseases. It strengthens the body’s immune system and can stimulate hormones necessary for averting many autoimmune diseases like hypothyroidism and Hashimoto’s Disease. It also promotes the efficiency of the endocrine system. Found in fishes like salmon, mackerel, and tuna, omega-3 is another effective home remedy that can boost the immune system. Alternatively, blending a fruit smoothie with flaxseed oil also helps if you do not eat fish. It is important that you avoid foods that trigger allergic reactions to avert autoimmune diseases. Such allergens tend to put a strain on the body’s immune system and may cause the immune cells to ‘misbehave’. Popular allergens include dairy foods, soy, fish, wheat, and corn. The body’s primary source of this vitamin is the sunlight. Deficiency of vitamin D can lead to autoimmune diseases like diabetes, heart diseases, depression, multiple sclerosis, and more. Studies have shown that Vitamin D in the body works by inhibiting the activities of rogue immune cells that cause autoimmune diseases. Mental health and physical wellbeing are essential for everyone. However, this is only achievable through adequate exercise routines and proper diet. These factors help keep the body in shape and improve the optimal functionality of organs. Sleeping for about 8 hours and leading an addiction-free life can also keep stress levels low. Yoga, meditation, and breathing exercises are methods of relaxation that promotes healing. They are beneficial for relieving stress and for enhancing the mental and physical state of the body. Exercising the body helps you get rids of harmful toxins in the body – a factor that contributes to autoimmune diseases. Using home remedies for treating autoimmune diseases can save you the trouble of having to go through the side effects posed by taking many medications. Which home remedies are you likely to try? Comment below!